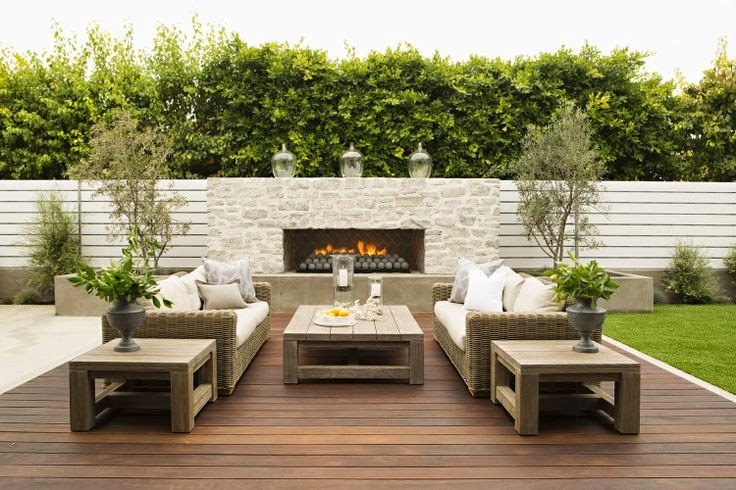 Our backyard + 6 amazing outdoor ideas to steal! Greg and I were busy this weekend with yard work, lots of it. It's hard work but with every little accomplishment it definitely is rewarding. We had to redo the sand in between our uni-stones, because the weeds were getting out of hand. Poor Greg, what a job. 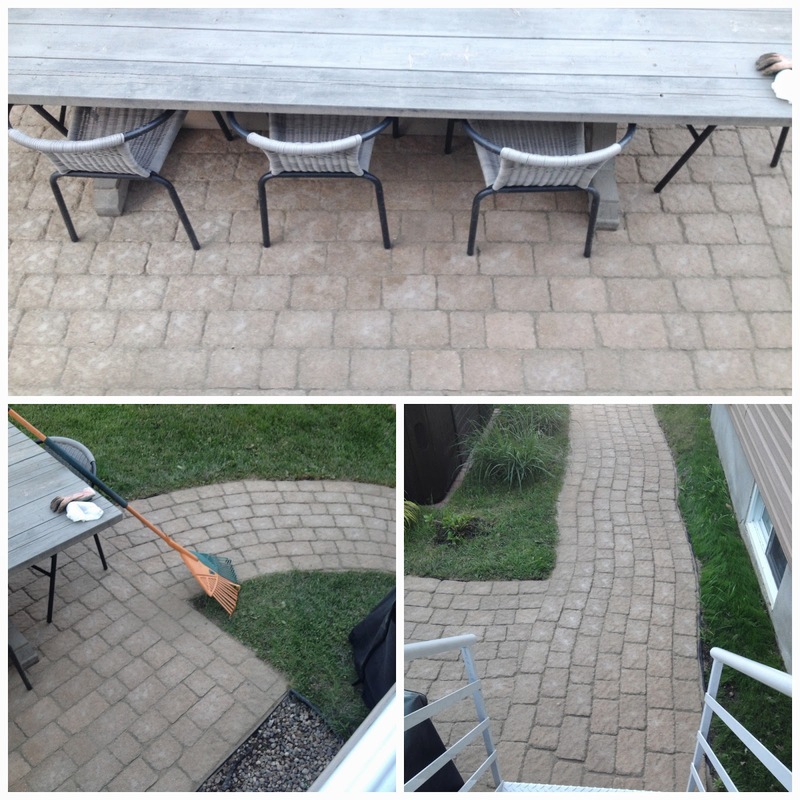 Cleaning out the sand/dirt/rocks with a pressure washer is a very dirty job. Greg was covered in mud from head to toe. So was the house, and the hot-tub and the balcony, oh my God. We purchased the sand and I helped Greg sweep it into every nook & cranny. That part was fun. It looks brand new now- I love it. It sounds like such a simple process and it is! It's just long and dirty. Here's what it looks like now! It's so clean! Even though our house is for sale I am now itching to redo the balcony, to which Greg says I'm crazy. I'd like to do something with it. It doesn't need to be demolished! Maybe some funky outdoor carpet tiles? Do they make those, because that would be fabulous! 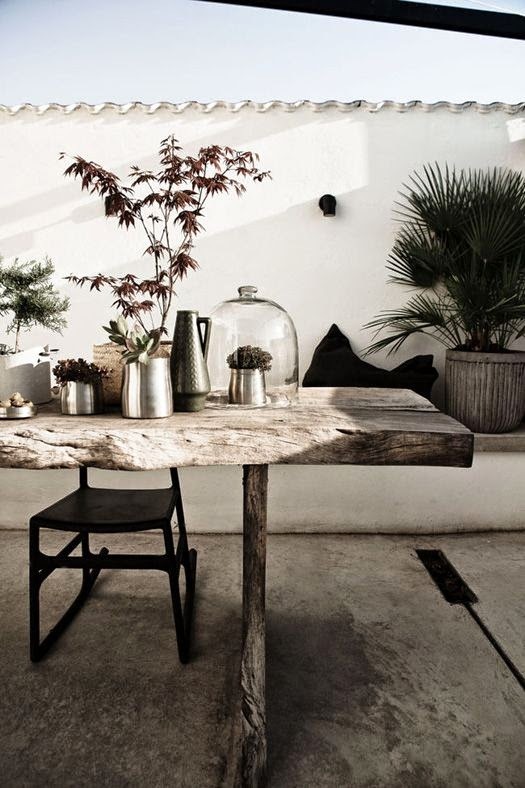 Idea #1 >> Treat your outdoor dining table like a console to display pretty vases, flowers, rocks, shells tree clippings, whatever! Grouping the object together creates a beautiful impact. Idea # 2 >> Create an outdoor cooler from some weathered looking scraps of wood, or just buy some pine and make this box (left corner). Then insert a large plastic container and fill with ice! Who wants to look at an ugly cooler anyway! 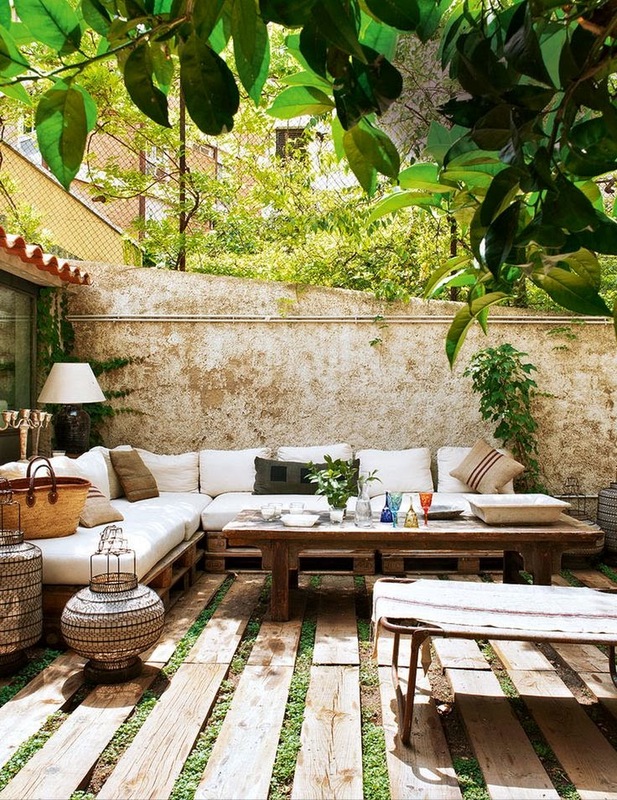 Idea # 3>> Have a living room in your backyard. And if you have Bell wireless bring out your television and have a movie night! And how gorgeous is that fireplace? 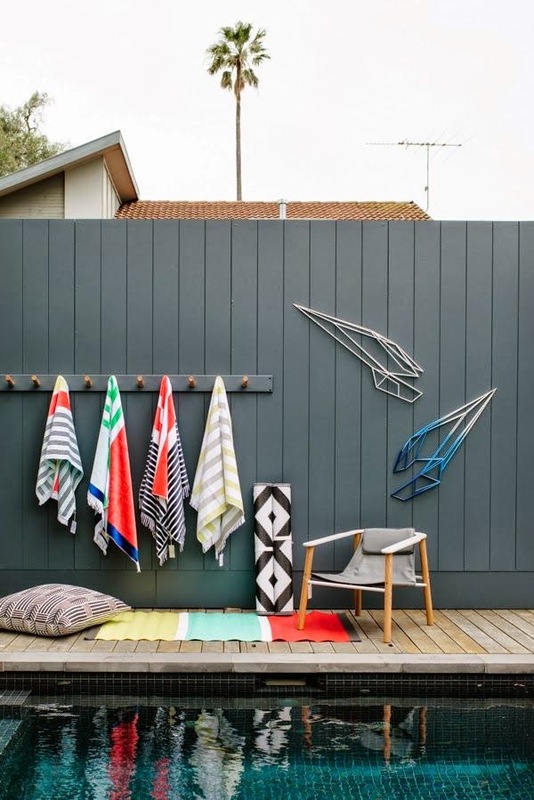 Idea #4 >> Hang hooks around your pool for towels, etc...If your fence isn't wood use your nearby deck. 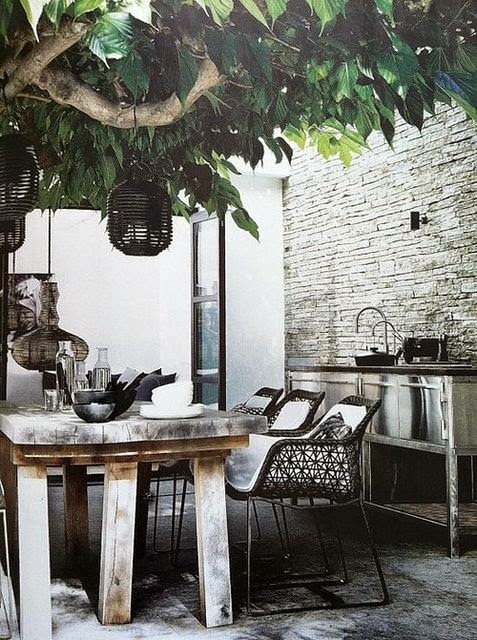 Idea # 5>> How about an outdoor kitchen? Ikea has some nice stand-alone kitchens that could work well, just bring it in in the winter (or cover well). 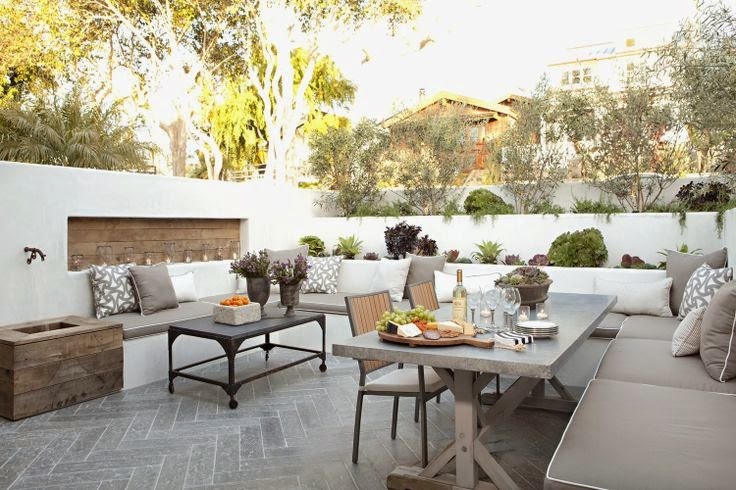 What projects are you working on in your backyard? Have any new ideas?